Heavy emergency accident has occurred. You act as an emergency rescue driver. So, it’s your duty to reach on time on emergency place. You must be fast and save lives for the sake of your occupation. Being a part of ambulance rescue team and you need to rescue rush because you are responsible for the precious lives. Get seriously injured rescue patient to the hospital in time. Drive fast and rapidly emergency ambulance rescue but safely. 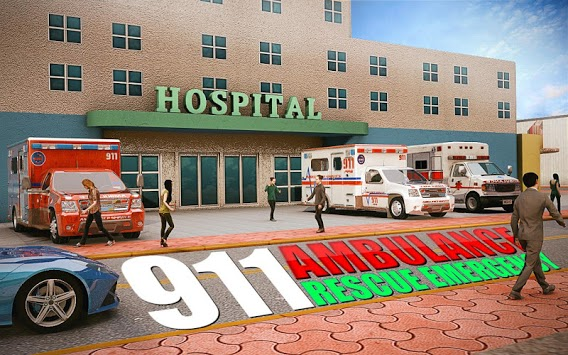 Turn on the 911 emergency rescue ambulance siren and give the signal to traffic for giving you space. There may be heavy traffic like cars, trucks and bikes etc. on the road. So, drive safely. 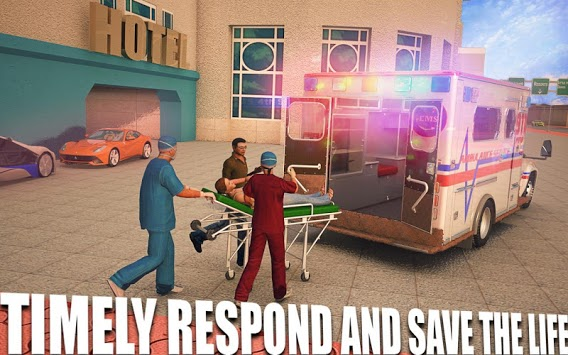 Your ambulance driving skills matter a lot in emergency rescue driving simulator game. You must reach in hospital in minimum time. 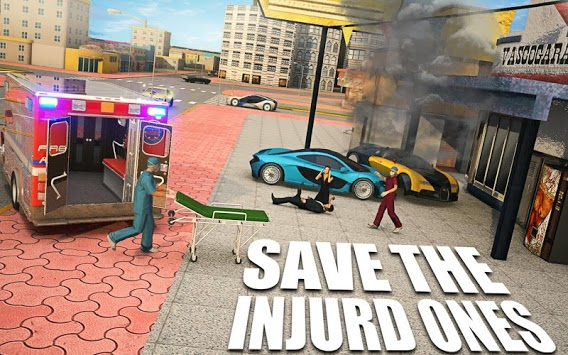 Pick up the injured rescue patient and drop them in hospital on time and complete 911 emergency rescue mission. ➢	10 different ambulance emergency driving mission. ➢	Selection of several vehicles. ➢	Pick and drop the emergency rescue patient in time. ➢	Real and best driving skills. ➢	Realistic graphics with 3D environment. ➢	Smooth control on emergency rescue driving. ➢	Realistic and interactive game physics.